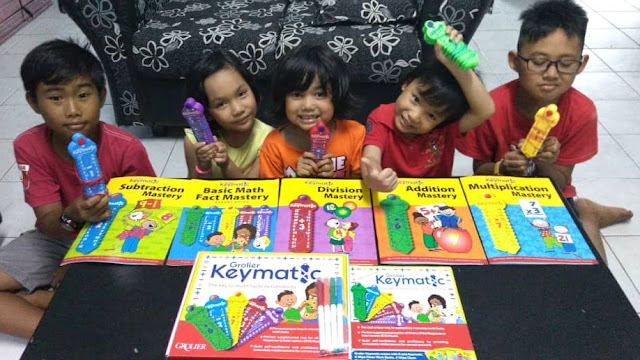 Grolier Keymatic; The Fun Way to Learn Mathematics. | Mathematics could be a boring subject to some children and as for me during my secondary school Mathematics was a headache. Honestly, I'm bad in Math! Recently, I went to launch of Grolier Keymatic, a new products from Grolier and my first impression was why I don't have this during my high school? It have a fun and easy way to learn Math. 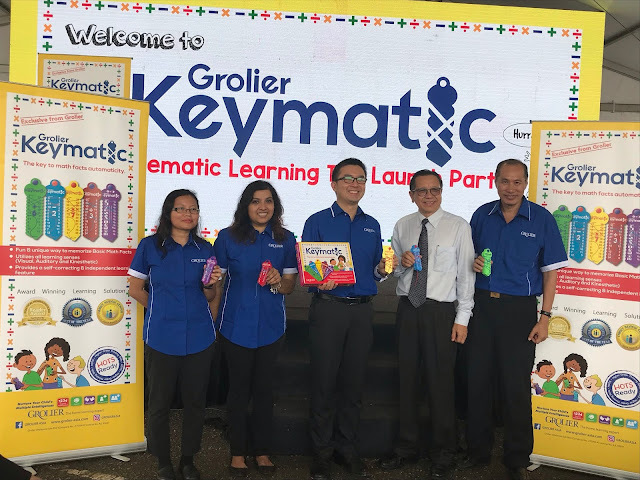 Grolier Keymatic definitely will hits the market and their aim is to improving basic math skills in children as young as four. 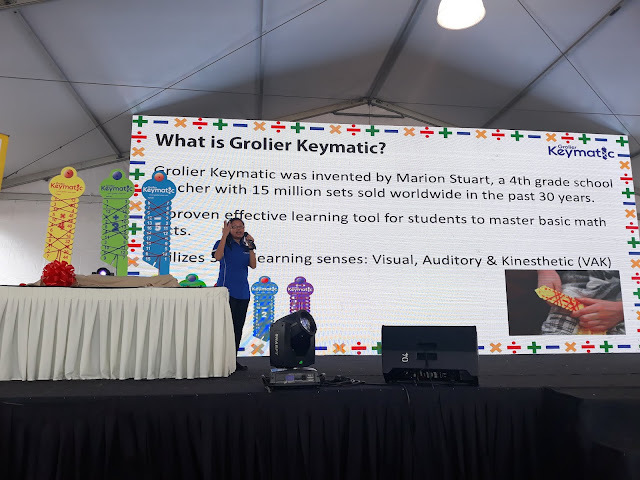 With the noble aim of providing high quality learning solutions that equip parents and teachers with the tools they need to enhance the educational development and well-being of children throughout the world, Grolier, a company that produces children’s books and educational materials, is set to move in a new direction with the launch of its latest educational tool, Grolier Keymatic. Me and my kids during the event. 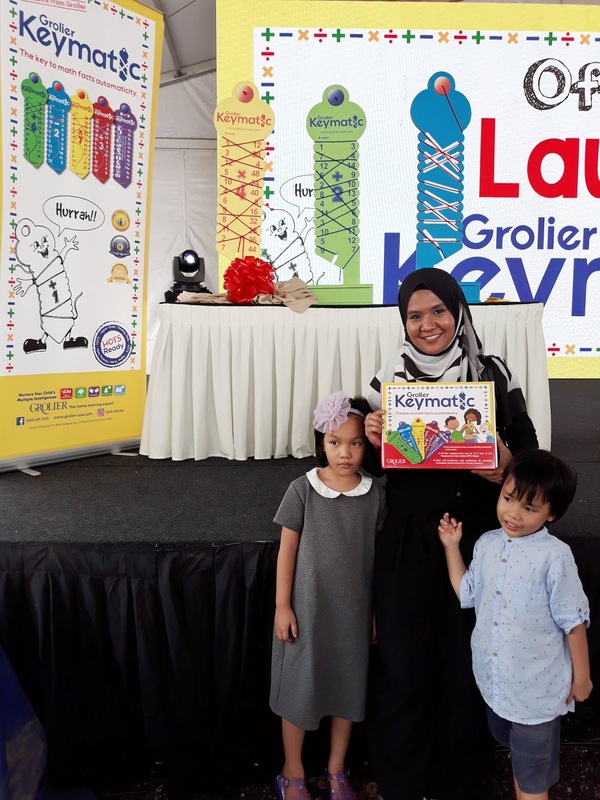 The latest product from the company that has earned its reputation of being the In-Home Learning Expert, Grolier Keymatic is designed to help increase the mathematical skills of children aged from four upwards. 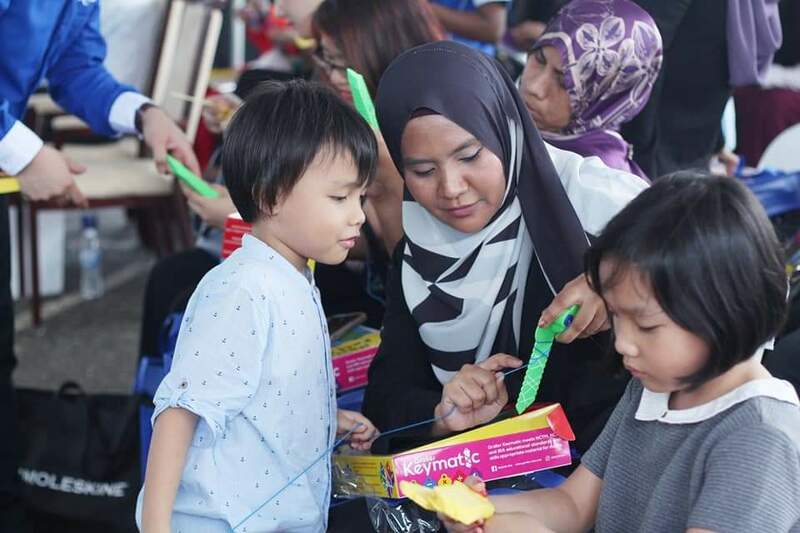 The company, which was established in Malaysia in 1962, has provided a myriad of products through the years that have been designed to help children to read and learn. Grolier Keymatic is its first mathematical learning aid. My kids also has a products from where they can play while learning how to spell with it. Grolier definitely well known in their education because they have so many satisfied customer. With this new education tools, they probably will gain more new customer soon! The math aid is the key to successfully learning math facts in a fun and unique way. It is a kinesthetic and visual learning tool that encourages thinking outside of the box in the five Keymatic areas of addition, subtraction, multiplication, division and fractions. It is designed to help children learn independently, and to build self-confidence and proficiency through the provision of immediate reinforcement and answers. The launch of Grolier Keymatic is also timely as it coincides with the Minister of Education Dr. Maszlee Malik’s recent announcement that examinations for primary school students from Year One to Year Three would be scrapped from 2019. 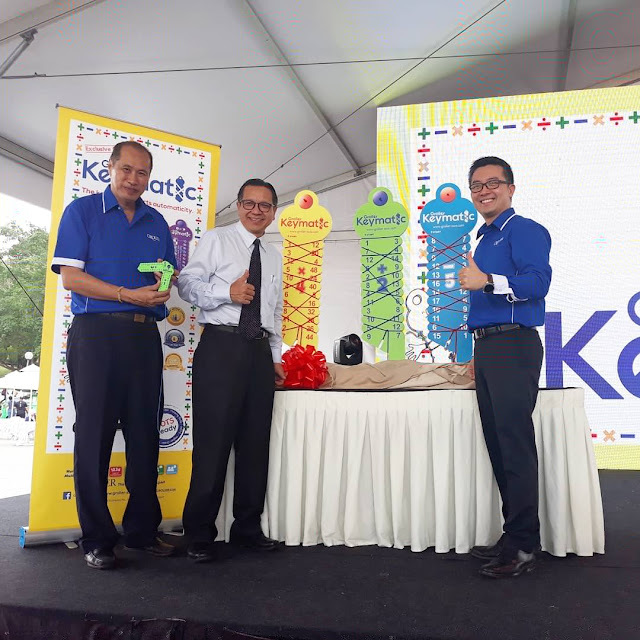 In making the announcement, he said that the move had been made to encourage “fun learning” and to make education enjoyable, which Grolier Keymatic is designed to do. A repetitive action from the visual, auditory and kinesthetic will help you to learn and remember things faster. Grolier Keymatic, which comes with the aforementioned five Keymatic sets, also contains four Wipe Clean Work Books, four Wipe Clean Marker Pens and a Parent Guide Book. One of the unique features of the educational tool is that it ensures that children learn basic maths faster with more practice in a fun way. There are many interesting activities in the work books that teachers can use to conduct fun and engaging learning experiences with their students in the classroom. One of the many fun learning examples is conducting a race between students and teachers or their fellow classmates to see who completes the challenge first. 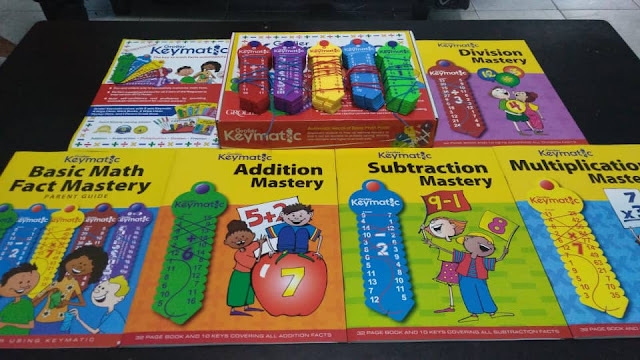 Through Grolier Keymatic, children will achieve an automatic recall of basic math facts, which in turn will allow them to free up their working memory so that it can be devoted to problem-solving, learning new concepts and higher level math skills. The mathematical aid is also an ideal supplemental tool for all the three tiers of the Response to Intervention (RTI) model, a process that is used by educators to help students who are struggling with a skill or lesson. As for my observation, this Keymatic is a fun way to learn math and my son also keep on asking to learn math even in the car. You also can have a great bonding session with your kids and also gain knowledge while doing that. So if you interested with the products just contact their consultant. They will be ready to help you and just walk in at any nearest big mall, they usually have their booth there. Grolier, which was established in 1895 in Boston, USA, has grown into a multinational corporation with over 70 branches worldwide, including in Malaysia, Singapore, Thailand, Philippines, Indonesia and India. Since it was established in Malaysia, the company has continuously brought the latest educational methodologies and quality education products to Malaysian families. The company is a wholly-owned subsidiary of Scholastic Inc., the world’s largest publisher and distributor of children’s books. Scholastic is a public-listed company on NASDAQ with an annual sales turnover of US$2 billion (RM8.38 billion) and over 10,000 employees 1worldwide. The company’s learning solutions focus on the Multiple Intelligences a child possesses and then helps in building a holistic learning experience through the four building blocks of Language, Knowledge, IQ and Creativity. 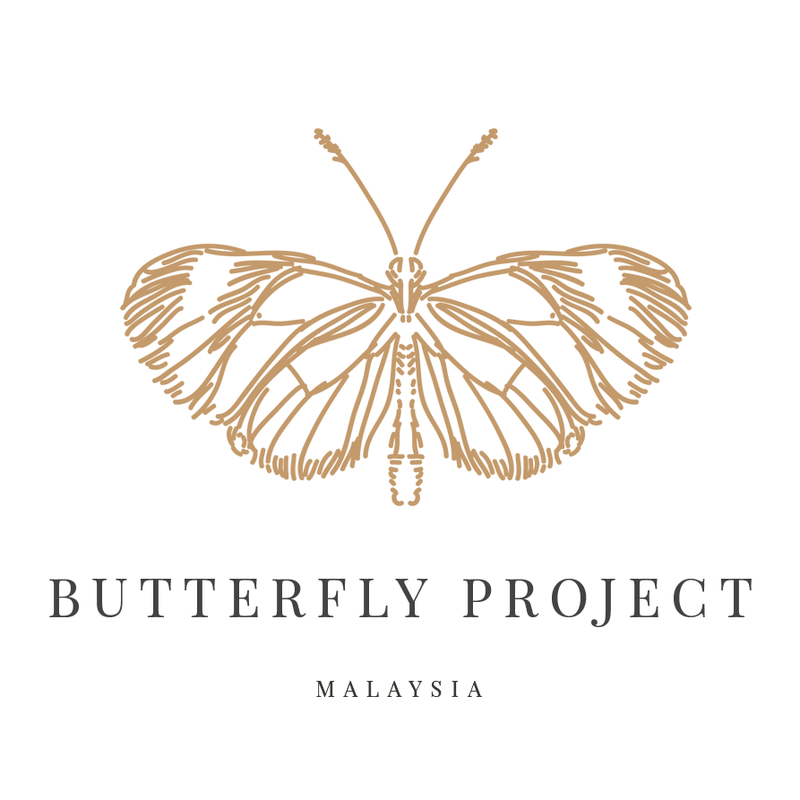 On September 26, 2018, the Direct Selling Association of Malaysia (DSAM) listed Grolier as one of its Ethical Direct Selling members after a 37-year partnership. The award was presented to Grolier by the Minister of Domestic Trade and Consumer Affairs, Dato' Saifuddin Nasution lsmail. SA memang tak berapa suka dengan math tapi dengan grolier keymatic ni bagus untuk anak- anak kita, at least jadikan ianya subject yang fun dan mudah faham kan..kakak dania agak lemah dengan math..tapi dia dah nak masuk form 3, sure tak sesuai dengan dia kan? Such an amazing tools for kids to gain and learn knowledge that focus on mathematics . Why I do not know about this while I am student? I really love mathematic. Must be happy and fun to learn maths with this method. Good job Dr.Grolier. Terbaik dari Grolier untuk anak-anak. Selalunya anak-anak sukar untuk faham matematik. Dengan adanya bahan pembelajaran dari Grolier ni, memang dapat membantu anak-anak. interesting! never heard about this, but as long as it makes it fun for the kids to learn math i supposed that's a good thing! when we were you, we never have the chance to learn the fun way and always using the heardway to learn and score.. nowadays children are so lucky and not as stress as we are... this definitely will allow them to learn more and faster! menarik sgt ajar anak2 awal pendedahan matematik guna grolier method ni..mmh budak2 kecik more to visual kan..ciktom nak kena beli jgk utk anak ciktom ni.. Math adalah subjek yang kita tak suka masa zaman sekolah. Sebab rasa macam memeningkan kepala je. 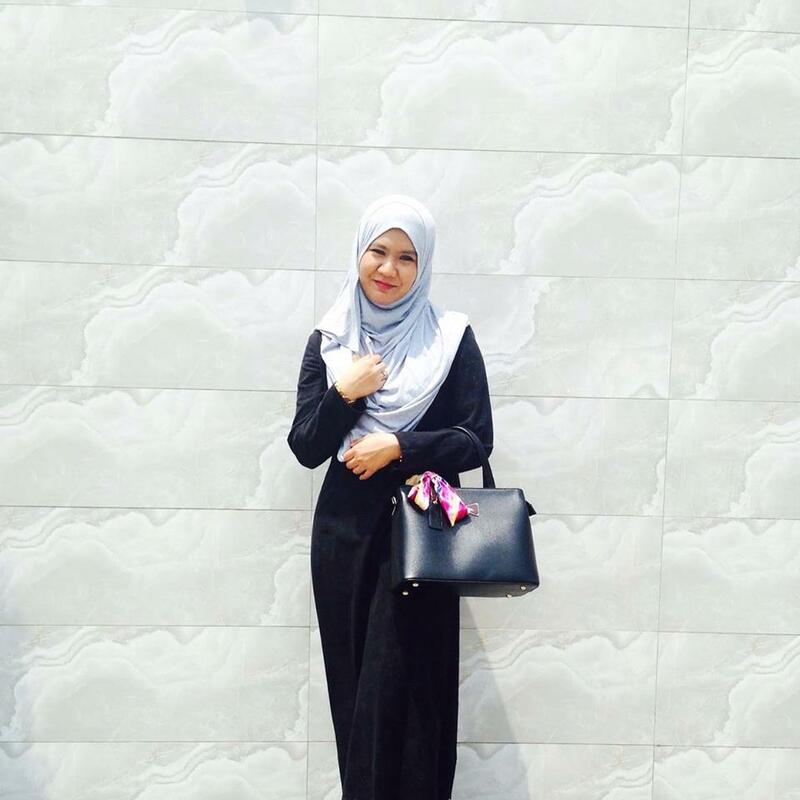 Tapi bila dah ada anak ni, kena titikberatkan pelajaran ni kan. Dan sekarang dah ada bantuan belajar untuk memudahkan kita paham. So, boleh try ni. Kena ada teknik belajr baru mudah. Memang tak minat math sb selalu tak paham dan salah buat. Math moden tu bolehlah. Kalau guna Grolier ni mungkin i boleh pandai Math agaknya. Wow! nowadays there are many learning tools for the children. And its good to train them from young. Its my first time get to know about this Grolier Keymatic brand. The Fun Way to Learn Mathematics kit look interesting to me also.